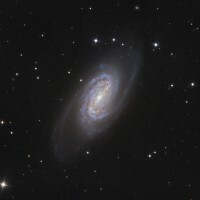 NGC 2903 is a well known galaxy in the constellation Leo and can be best observed during spring time. On deep photographies, this galaxy reveals a nice barred spiral structure. It is believed to be a look-alike to our own Milky Way Galaxy for its general size and the central bar. 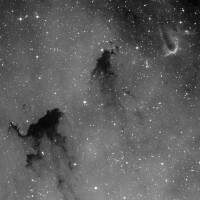 LDN 1101/2 are two dark nebulas in IC1396 (well known as the „elefant’s trunk“). Our image is arguably the first amateurs‘ picture revealing the tiny Planetary with the nomination IPHASXJ214032.5+564752. This Planetary has been discovered not earlier than 2009 on professional telescopes‘ images. 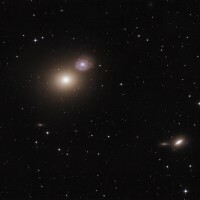 M 86 is another large elliptical galaxy in the constellation virgo. It is located in the close vicinity of M 84 which can be seen here. Here is a mosaik of the two showing their relative position in the sky. M 84 is a famous elliptical galaxy in the constellation virgo. It can thus be best viewed in the spring time. 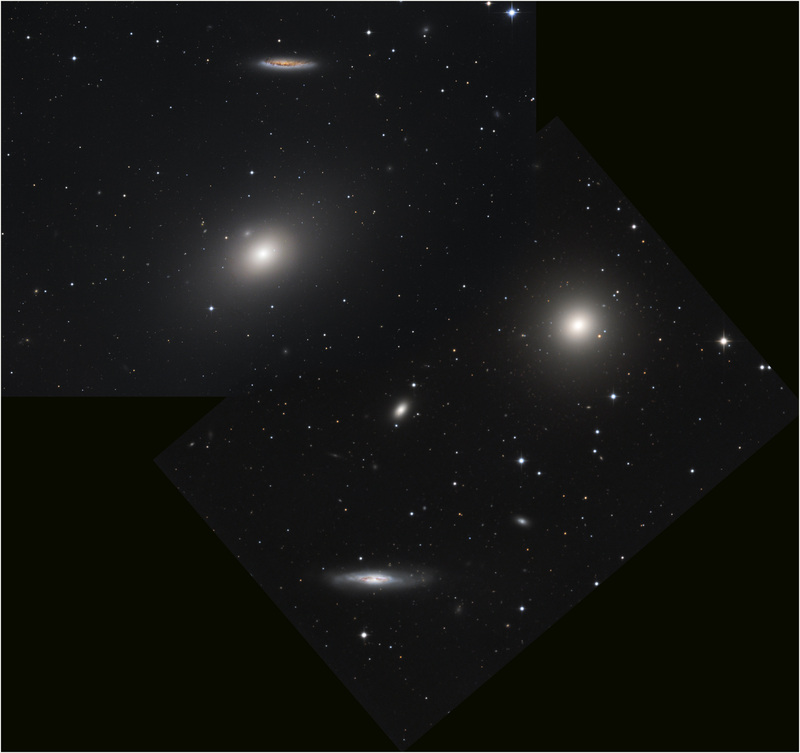 Its close twin M 86 can be seen here, and here is a mosaik of the two showing their relative position in the sky. 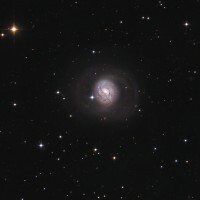 M 77 is a nice face-on spiral galaxy in the constellation Cetus. It is a well known object of the autumn skies. Although its core is quite bright the outer spiral arms need several hours of exposure time to become visible. 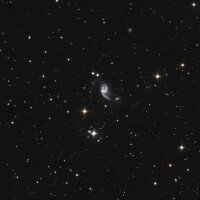 NGC 5996 is a rather small disturbed galaxy in the constellation Serpens. We integrated our image as long as 20 hours in total to reveal the faint spiral arms and the zoo of faint background galaxies. 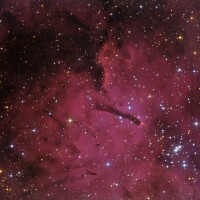 NGC 6820 is a well known emission nebula. 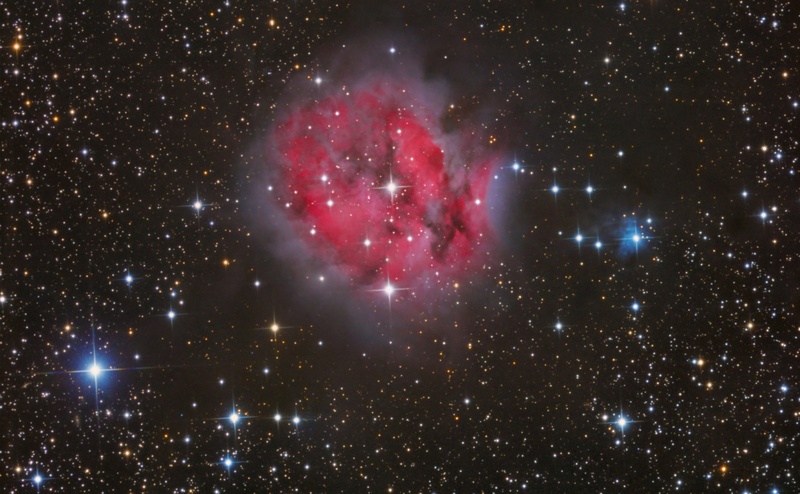 Located close to the famous dumbbell nebula M 27 in Vulpecula, it can be best seen in summer nights. Messier 31 is better known as the „Andromeda Galaxy“ since it is located in the constellation Andromeda. In a distance of appr. 2.2 million lightyears, it is a close neighbour of our own galaxy. 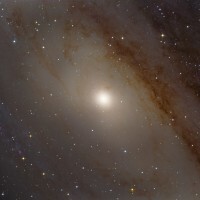 M 31 can be best seen in fall and early winter nights. Under darks skies, it is already visible to the naked eye. Our image shows only the core area of the galaxy, highlighting the magnificent dust lanes. Almost all of the stars visible in the picture are in the foreground and belong to our galaxy. 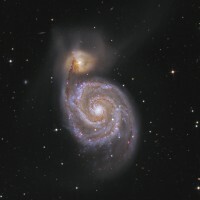 M 51 or the „Whirlpool Galaxie“ is one of the most famous spiral galaxies in the skies. Located in Canes Venatici, it is best visible in spring (on nothern hemisphere). Our picture taken in March 2012 shows the fading supernova 2011dh as a faint memory of what used to be a giant star. 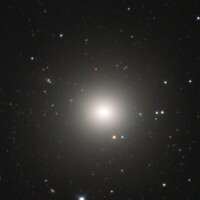 M 60 is an elliptical galaxie (Type E2) in the constellation Virgo. 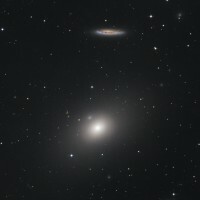 The nice spiral galaxie next to it is NGC 4647 which is known to be physical companion of M 60.